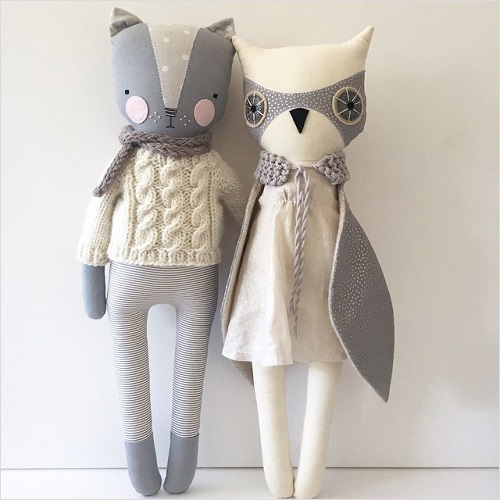 Katia Ferris is an artist and a crafter from San Francisco, CA. 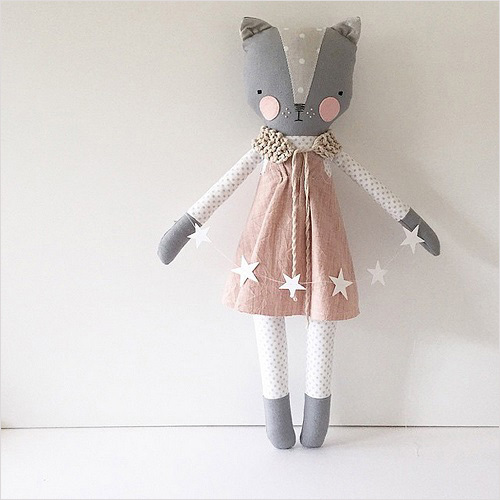 She hand crafts these lovely dolls called "Luckyjuju" that sell out in minutes after being listed. 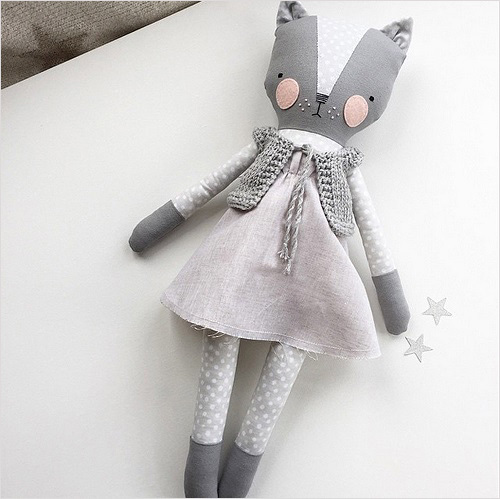 Luckyjuju dolls are handmade from new and vintage fabrics, felt, lace, ribbon, yarn and polyfill stuffing. 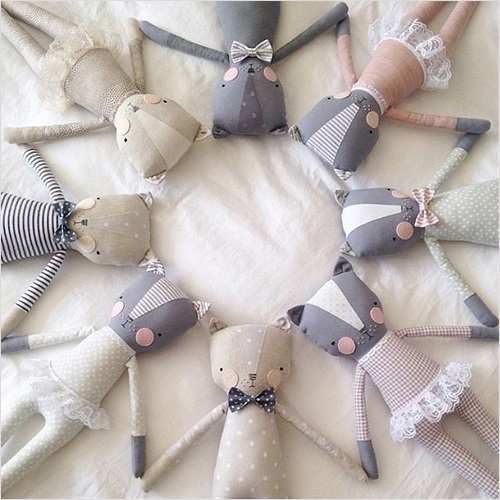 The faces on the dolls are hand embroidered with floss. 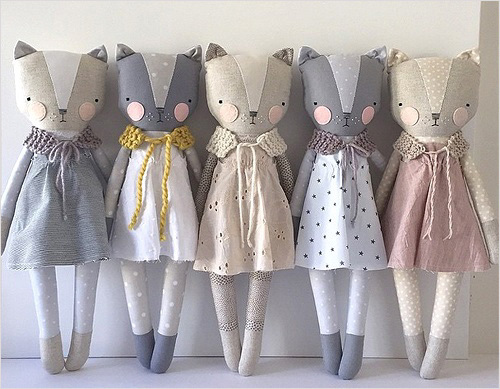 Each doll is one-of-a-kind dressed with removable clothes for easy cleaning. 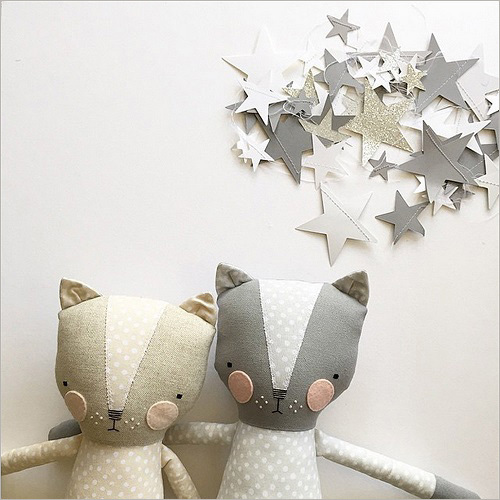 You may want to keep your eyes peeled if you want to buy something you like. 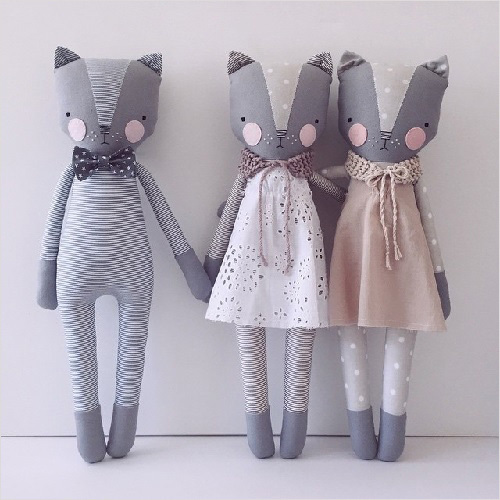 Thanks "Jenng" for introducing us to Katia's lovely dolls.